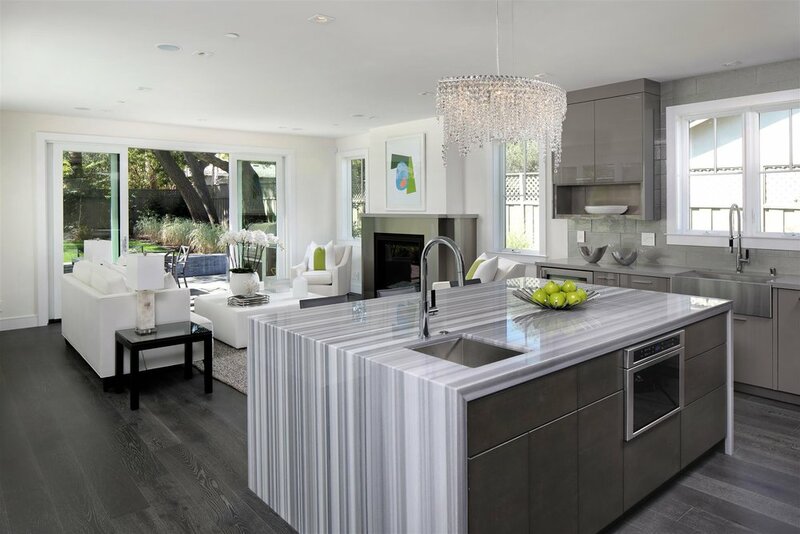 The two-story home is unified through espresso-hued wood floors, contrasting crisp white walls, and stunning marbles that stand alone as works of art. The lighting is absolutely dazzling with brilliant crystal chandeliers, beginning with a cascading drape of lights above the chrome and glass staircase. The spacious and open floor plan revolves around a tremendous great room that spans the rear of the home and is complemented by a formal living room and dining room. Two remote-controlled fireplaces and wide-open access to the rear terrace, complete with flag awnings and a barbecue center, are just a few of the highlights that make everyday living a joy. There are 5 bedrooms, including 3 upstairs with en suite bath, all thoughtfully arranged over two levels with flexibility for a variety of lifestyle needs. 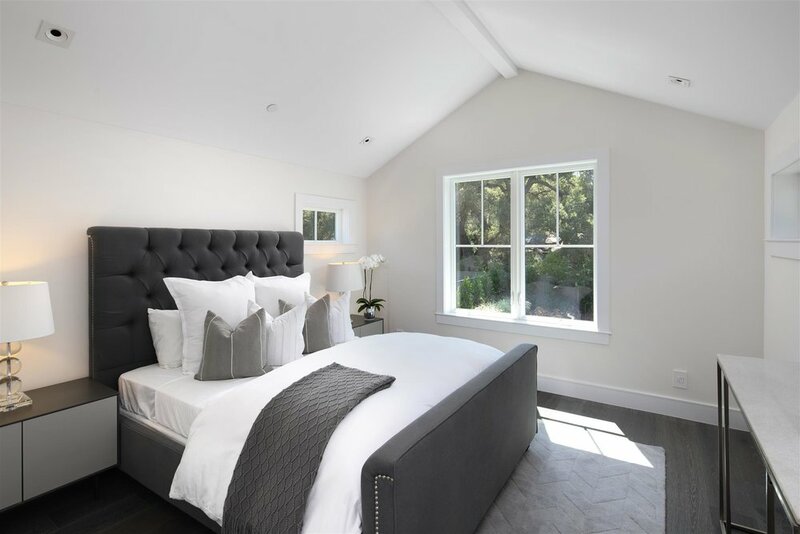 Brand-new construction on just over one-quarter acre in an amazing location – truly the best of Los Altos living!